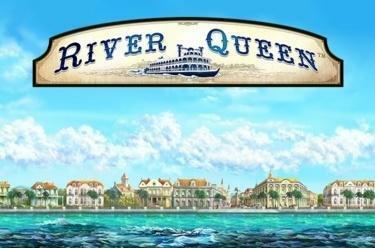 Play River Queen™ online for free now! Big winnings are not far off when the huge steamboat glides along the Mississippi and the Louisiana elite meet to play cards with Bourbon and jazz! Take a seat on our luxurious ‘River Queen’ and mix among the high society! If you land the cards and dice numbers in the correct order in our southern slot, you can look forward to a wealth of Twist wins! 5 reels and up to 50(!) win lines will sail you sophisticatedly on course for winnings: Once you land 3 identical symbols from left to right along a line, you win! Normal line wins always start on the first reel and may not be interrupted by other symbols. 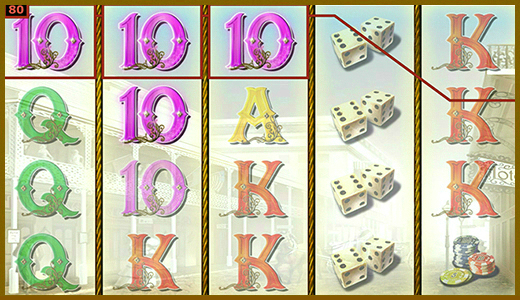 Our Southern belle substitutes all symbols in the game except for the Scatter, and may also complete your winning combinations. The steamboat, as the scatter symbol, wins regardless of the course of the win line and transports you safely to the free games. 3 or more Paddle Steamer at any point win 10 Free Spins with ‘Moving Wilds’ Feature. The triggering symbols change into proper steamboats that take course across the reels. Each steamboat is also a wild symbol, which covers 2 reel positions. With each spin, the steamer steers to another location, therefore providing more chances to win! All Free Spins are generally played with the settings of your last regular game.